A spin-off of the cult post-apocalyptic RPG series, and an online open-world survival game. You cooperate with other players or compete against them, trying to rebuild West Virginia decades after a nuclear disaster. 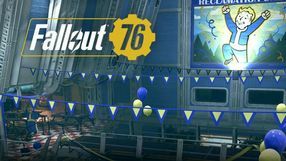 Fallout 76 features many elements from Fallout 4, but the plot is less relevant and the game focuses on building outposts. 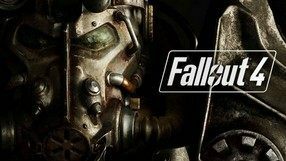 A special version of Fallout 4 developed by Bethesda Softworks with VR headsets in mind. Content-wise, the game doesn’t significantly deviate from the original, although the systems of combat, crafting, and building were altered in order to work with VR devices. The title is still an extensive RPG that takes us to an open post-apocalyptic world. Apart from the main storyline, there is a number of side missions for the player to perform – the developers’ intention was to offer absolute freedom so it is only up to the players where they decide to go and how their actions influence the course of the story. Aside from characteristic features of the series, such as the S.P.E.C.I.A.L. character attribute system and the V.A.T.S. aiming system, Fallout 4 VR offers extensive crafting options that let us not only create and enhance various furnishings but also to construct buildings that serve as shelters for the protagonist and his/her companions. The third installment in the popular series of post-apocalyptic cRPGs. Bethesda Softworks, best known for The Elder Scrolls series, took the reins of the production. The main story arc focuses on the search for our character’s father. During the journey, the main protagonist, called the Lone Wanderer, learns of Project Purity, which could provide water for the inhabitants of the Wasteland. The developers have designed several variants of the main campaign's end, depending on the choices made by the player. They remained faithful to the extensive system of character’s attributes, S.P.E.C.I.A.L., known from the previous games in the Fallout series. The gameplay, however, is characteristic of action games, and features dynamic combat sequences. The three-dimensional visuals of Fallout 3 are generated by the Gamebryo engine. 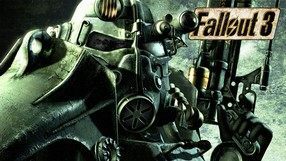 A hack-and-slash action RPG and a console spin-off to Fallout, the popular series by Interplay. 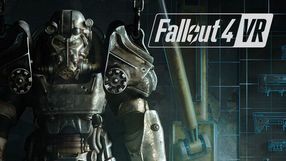 The action of Fallout: Brotherhood of Steel is set between the first and the second installment in the series, and the player’s task is to serve in the eponymous Brotherhood of Steel as it tries to contain the chaos spreading throughout the post-apocalyptic wastelands. In the game, we assume control of a team of mercenaries that traverse deserts, sunken villages, ruined cities, and abandoned military complexes to perform various tasks, facing hordes of enemies at the same time. The entire game is played in real time. In combat, we can also perform dodges and use long-rage weaponry. As befits an RPG, as we progress, the team members gain experience, develop their skills and make use of a wide variety of equipment as well as over 50 types of weapons. 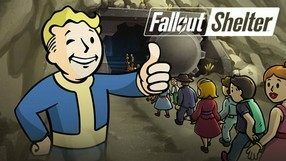 A turn-based tactical strategy game with RPG elements and a spin-off installment of the Fallout series. It was developed cooperatively by Micro Forté and 14° East. The action takes place in the post-nuclear universe of the future, in which we become a member of the eponymous group that seeks to rebuild the world destroyed by the nuclear apocalypse. The players’ task is to locate long-forgotten technologies that will enable them to destroy dangerous foes. To do so, we have to complete a series of subsequent missions that will test our tactical abilities. In Fallout Tactics: Brotherhood of Steel, we can make use of a large weapon arsenal and numerous armored vehicles, while the party members, in a typical RPG manner, increase their attributes and skills thanks to the experience points gained in combat. The game can be played either solo or in a network multiplayer for up to 18 players. 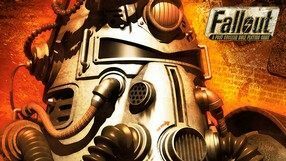 A post-apocalyptic RPG and a sequel to the 1997’s bestseller, Fallout. 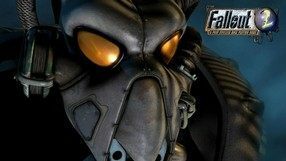 Fallout 2 was developed by Black Isle Studios, once again in cooperation with Interplay. The action is set in 2241, 80 years after the events of the first game. The player assumes the role of a chosen one, who is tasked by the village elders with finding the G.E.C.K, a device capable of restoring the world after the nuclear apocalypse. Many gameplay solutions from the original remain unchanged, including the S.P.E.C.I.A.L. character creation system and the tactical turn-based combat mechanics. The number of available skills and perks, as well as the player's weapon arsenal and additional equipment were increased. The game offers isometric 2D graphics, a feature characteristic of the RPGs of the late 90s. A classic cRPG developed by Black Isle Studios. 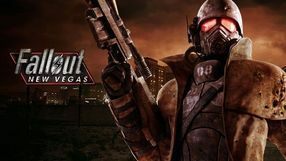 The action of Fallout is set in a post-apocalyptic world of the future. In 2077, the struggle for oil deposits between the United States and China led to an outbreak of a war, which eventually ended with both sides using their nuclear arsenal. However, before the missiles came down some groups of American citizens had managed to find refuge in commercial shelters, called the Vaults. 84 years later, a malfunction occurs in Vault 13. The player-controlled protagonist is sent to the surface with the mission to find a new water chip, necessary to secure the Vault's water supply. The gameplay mechanics are inspired by the GURPS, with extensive character progression options and tactical turn-based combat. The visual style of Fallout clearly references science fiction culture from the 50s.